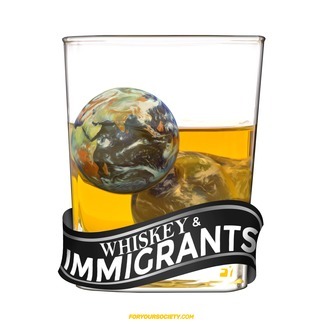 Whiskey & Immigrants is a weekly podcast which invites regular, everyday immigrants to sit down with a glass of whiskey to share their stories and perspectives. We aim to learn as much as we can about and from our guest about their country of origin, their culture and how they've assimilated into their lives here in the U.S. We want to know how our guests got here and why they came, cultural adjustment and how their perceptions or expectations of America from afar contrasts with the reality of their lives now that they're here, and if it has all been worth it. We want you to come away feeling like you've gotten to know our guests, or that you've at least heard a fresh perspective, and part of that is to hear from them on a myriad of topics like politics, race, criminal justice, the human condition, knitting -- whatever it is that is pertinent to the larger conversation we should all be having about American society and how to improve it. 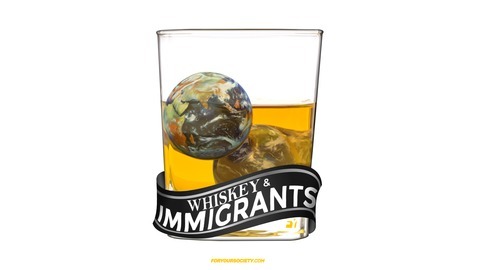 | Visit us online at https://www.foryoursociety.com | Support Whiskey & Immigrants by shopping our store at https://fy-society.com. On this this fun, philosophical and intoxicating episode of Whiskey & Immigrants, we talk with Gregor Strakl about his upbringing in Slovenia, the Swedish Space Program, Fresh Prince of Bel-Air English language lessons, the Iraq War, 9/11, the far east, the sometimes odd complexities of English, martial arts and the sport of grappling, the unique education and perspective that travel can afford, breaking the pattern of typical American life, his path to U.S. citizenship, lots of history, the corporate world, leadership and much more.